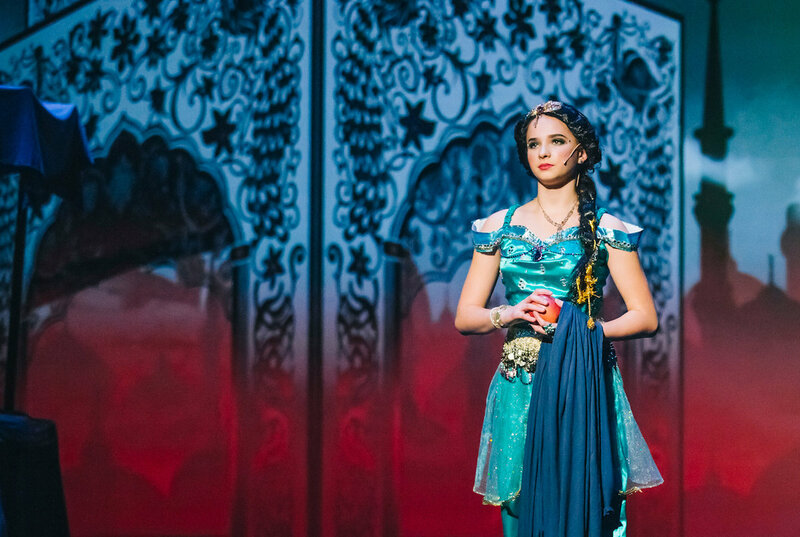 The Children’s Theatre of Richmond Association (CTORA) is excited to announce that their 2018 program runs in November and December with two musical productions from Disney’s The Little Mermaid Jr. and Beauty and the Beast Jr.
Incredibly talented youth performers, including Disney stars, perform these popular musical productions with collaboration from Vancouver Aquarium to provide support and the three-dimensional (3D) backdrop in The Little Mermaid Jr. production. Tickets on sale now from $20.00 to $49.50 (excludes applicable service fee and taxes). Performance credit: Universal NBC’s Nina’s World; ABC’s Once Upon A Time. Performance credit: Marvel’s (short-series) Black Spiderman, Chopped Canada Junior. Performance credit: Universal’s Aliens Ate My Homework; ABC’s Siren. Neil Hong as Prince Eric, The Little Mermaid Jr.
Victoria Kazantseva as Ursula, The Little Mermaid Jr.
With more than 22 years of global musical theatre production experience, Emma Swords is the creative director behind this year’s The Little Mermaid Jr. Swords’ previous musical theatre production experience include: Oliver, Mulan, Aladdin, Les Misérables and West Side Story. Internationally renowned choreographer Harry Zhao, who has represented China in World Sports Dance Open, will bring his Latin flair to work with Swords in creating electrifying choreography for The Little Mermaid Jr. Beauty and the Beast Jr. is directed by Joseph Spitale with assistance from Emily Matchette. Spitale is no stranger to the stage as he has participated in many internationally-acclaimed theatrical productions for Tokyo Disneyland, Theatre Under the Stars, Les Misérables, Lincoln Centre in New York City, and more. Canadian surrealist artist Michael Abraham has generously offered to hand-paint props and backdrops to create a lively experience for audience. Props and backdrops created by Abraham will include Ursula’s cave, mirrors from the mermaids, and much more. As well, a Vancouver-based digital media company, FStar Media, has utilized 3D mapping technology to showcase the 20 animated backdrops that bring the show to life. Another local construction company, Kiewit, has created a ship to accommodate up to nine actors and help bring the audience on a journey into the beautiful sea world. “This year’s show embraces technology and mixes it with traditional art, while celebrating the culture and talents of the young generation in our community,” adds Yuan. Image: Last year’s sold-out Aladdin musical production.